In 2014, to mark the first World Urticaria Day we wanted to capture moments of the everyday life that can be difficult (if not impossible) for patients with chronic urticaria. In order to do this, we created a collection of pictures with the goal of raising awareness and showing the impact of chronic urticaria on our quality of life. This exhibition opened in Madrid and Barcelona on October 1, 2014 and has since visited several cities. Please contact us if you would like the exhibition to take place in your city. 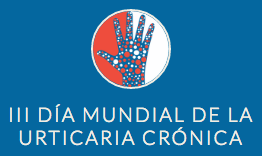 Two years later, to celebrate the III Urticaria Day and with the support of Uriach, we want to internationalize the project and open it up to the rest of the world so that we can make ourselves known outside our borders and are able to build relationships with other organizations. If you belong to an organization and would like to participate in the project or prepare an exhibition with these photographs, please contact us.